Earlier this summer, I added Puppy Love Sessions as an option for pet parents to document those fleeting puppy days, from three-months to one-year of age, during two or three seasonal sessions. Shortly after, I received an inquiry from Leah who had seen my work after I photographed her friend’s goldendoodle puppy Douglas. Leah echoed what I, unfortunately, hear from too many pet parents. She shared that she had recently lost her other dog and had very few photos. Having just rescued a twelve-week-old puppy with her boyfriend Ethan just the day before she contacted me, Leah emphasized that she did not want to miss out on capturing these adorable memories. We scheduled the first of two seasonal sessions for mid-October at Mingo Creek Park where we were sure to get the colorful fall images Leah was hoping for, and it certainly did not disappoint. You guys–look at this little nugget Yoda! “He is three-months-old, so he is still very much a puppy. He is currently teething and wants to chew everything, but overall, he is easily motivated with treats, toys, and Dad,” adds Leah. Somewhat of a concern to Leah was Yoda’s age. She told me during our pre-session consultation that Yoda naps a lot. I kind of had to laugh when she told me that there is a good chance he will be sleeping in a few shots. I’d say this sleepy boy had other plans. Check out Yoda’s Superdog spring! I will be seeing Yoda, Leah, and Ethan next summer for Yoda’s second seasonal session, but until then, you can get more of your young Yoda fix by following him on Instagram @yoda.pup.4.me. If you would like to book a Puppy Love Session for your dog, click here or give me a call at 724-913-BARK (2275). 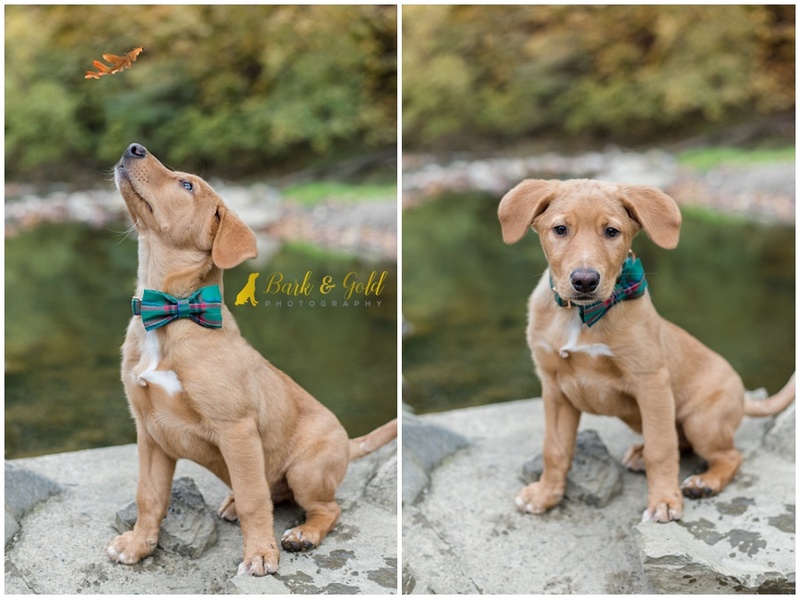 For more information on other Bark & Gold Photography sessions, visit “Your Session” in the menu and be sure to share your email on my homepage to join the VIP list. This post is a part of the Pet Photography 52 Weeks project blog circle. 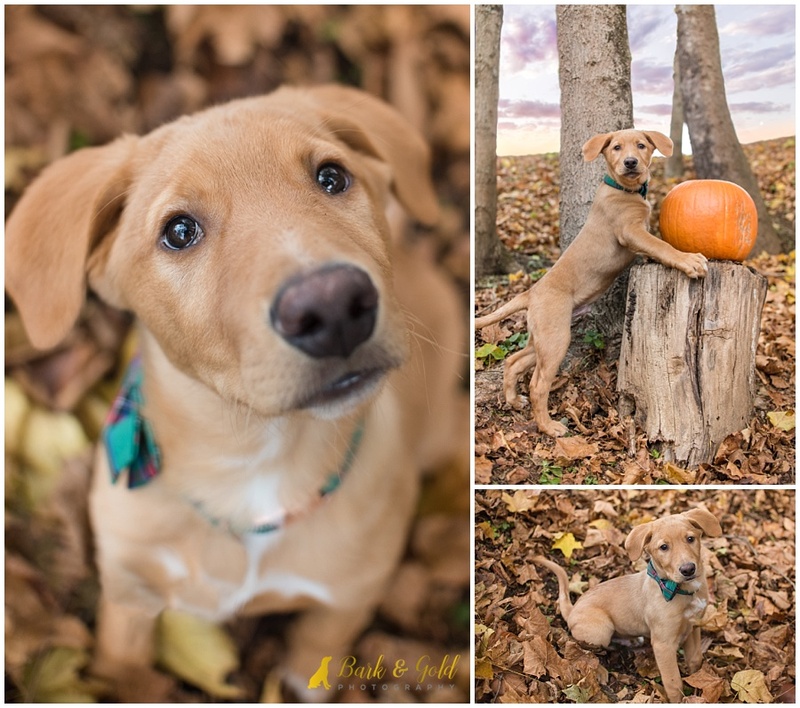 To see what the next pawesome photographer is sharing for the weekly theme, “Seasonal,” check out Tracy Allard of Penny Whistle Photography, fetching portraits in Coppell and surrounding communities in Dallas – Fort Worth, Texas. Continue to click the link at the end of each post in the blog circle until you eventually find your way back here. I adore all of these images! From the cute puppy to the your beautiful captures and compositions! 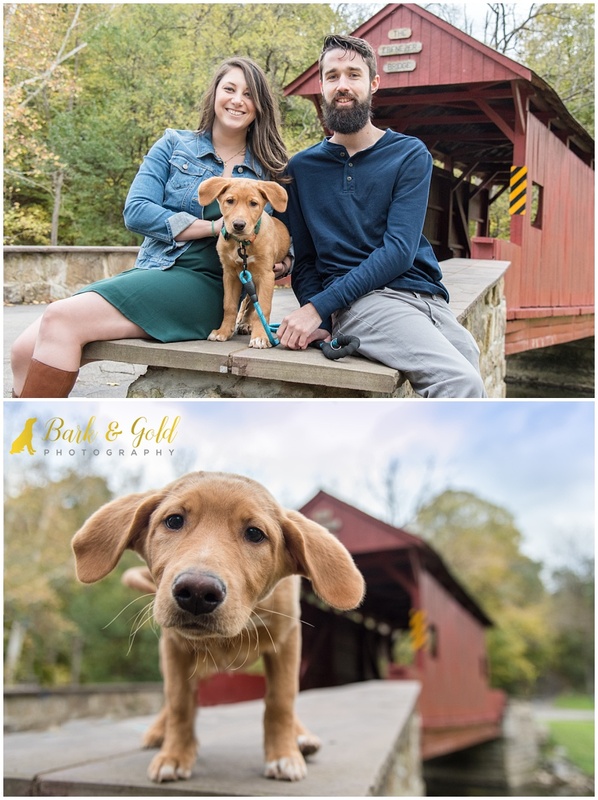 My favorite is the close up in front of the covered bridge -that expression is priceless! Great job! Thanks, Darlene! The close up in front of the bridge is one that his parents went crazy for too! SO CUTE! What fun that session must have been and gorgeous location. It was a blast, but Puppy Love Sessions always are!